We are Potomac Shores Neighborhood Specialists; we hear many buyers asking questions about the community. We hope these answers help you in your search for your next home. How Large Will Potomac Shores Be? Potomac Shores is about 2000 acres with two miles of shoreline along the Potomac River. It will be home to 3800 residences when completed. Residents will enjoy ten miles of wooded trails, The Shores Club with two pools, state of the art gym, events barn, community gardens, and activity lawn. The Ali Kreiger Stadium is a county facility with twelve sports fields within Potomac Shores. 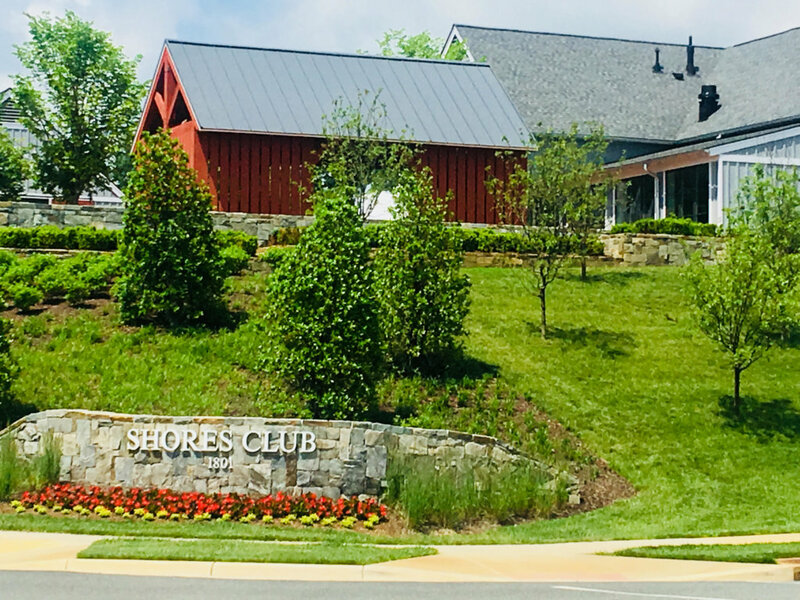 The Potomac Shores Golf Course with stunning Golf Club featuring the Tidewater Grill.The community with feature a day to the night town center and VRE Rail station on the banks of the river with a 500 space parking garage. The community is home to the new Covington Elementary School and future middle school on River Heritage Blvd. When Did Potomac Shores Start Building? Sales started in May of 2013 with the first homes delivering in the fall of 2013. How Much is The HOA Fee? The HOA varies on the neighborhood and is between $180 and $200 a month and includes your high-speed internet through Verizon 150/150 as well as well as access to all amenities. What is a CDA Tax? A Community Development Authority is a bond that is taken out for 30 years to pay for infrastructure in a community. Each home has a CDA tax that is assessed based on the property type. If you own your home for five years, you paid for only five years of the CDA tax, not the entire 30 years. Counties have been using this type of bond since the early 1990s to build large communities all around Virginia. When Will The Town Center Start? The town center roads are under construction and Sun Cal the developer is waiting on final approval of the VRE Station building and parking garage to move forward with construction. Once the VRE station is underway, they start the build-out of the Town Center. What Types Of businesses Will Be In The Town Center? Sun Cal has both office and retail development pads ready for immediate development at the entrance to the Town Center. These will be the first to go in and is to early to know what specific business will locate in the Town Center. The community is nearing the completion of its 900th home once the community hits the 1200 homes sold that will be a tipping point for business and retail to be viable. When Will Potomac Shores Blvd Be Extended? Potomac Shores Parkway will be extended across River Heritage Blvd and out to Rt 1 and Rt 234 for quick access to 95. The extension is time to coincide with the construction of the VRE Station. So expect to see it in 2020. When Will The Potomac Shores Middle School Open? The middle school construction is underway and will open for the 2020/21 School Year. Where Will The Rest Of The Home Be Built? If you travel down River Heritage Blvd. to the southern zone, you will see the road dead ends right now. It will eventually lead into the town center and connect to Potomac River Parkway. The remaining homes that are outside of the Town Center District will be built on either side of this extension. If you are at Spotted Oak Road and look towards the dead end, you will see a hill with trees on the ridge. Expect to see future homes here. It is my understanding the next builder to build at Potomac Shores will be Beazer. No specific product line has been announced as of this post. Will There Be Waterfront Homes? The waterfront will be home to the VRE Station and boardwalk and will give all residences of Potomac Shores the opportunity to enjoy the view. The Town Center will be home to about 2000 residential multi-family and townhomes units. Are you thinking of buying in Potomac Shores? If yes, you will have both resale and new homes to view. The front porches are great equalizers in this community. You will find it is not unusual to see a $900,000 on the same street as a $575,000 home. As a buyer, it is essential to align yourself with an agent who understands the different floor plans that exist in the community and to help you the buyer know your real options. Are you thinking of building your dream home? It costs you nothing to have representation and can save you from making a huge mistake. Contact us now and let’s talk about your situation. You may find this post helpful as well. If you find these posts helpful please reach out to me for assistance before visiting the builders. I get calls all the time from buyers calling for information after they have purchased. Sadly at that point, I am not a party to the sale and cannot advise. There are so many things you may not know. Don’t let that happen to you. The information in this post in no way represents the developer or EXIT Realty Associates.